Draining the RV black and gray water tanks is widely considered a distasteful task by RVer but it’s nonetheless a vital process. To drain these waste tanks, you have to connect the vehicle sewer hose with a dump station inlet and then open the valve. While you could always leave everything as it is, equipping the hose with a set of support should be able to enhance the effectiveness of the draining operation. 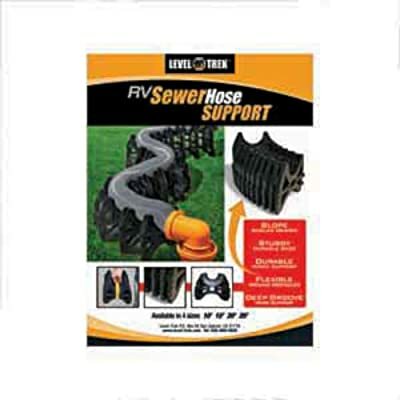 But how can you get the best RV sewer hose support set when there are too many products around? In the case that you are clueless about what to choose, this article could show a couple of excellent examples along with their reviews for your consideration. As with any other purchase, you should not rush to the store and buy the first thing you see without thinking it through. To make a wise investment, you must have a firm grasp on market products and your own demand. Wasting money on random purchases is ill-advised because you could end up with less than ideal products. Therefore, sit down and think about your situation then compile a list of desired characteristics. That list would help you narrow down the number of products you have to check and save your precious time. If needed, you could go online and take a look at the opinion of other RVer. 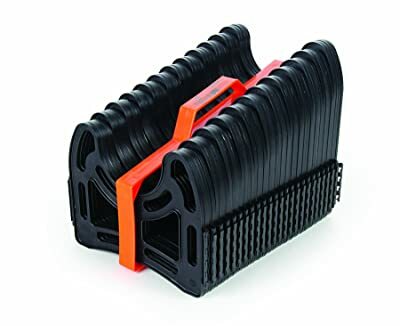 Made from durable and lightweight plastic, Camco 43051 Sidewinder is one of the best RV sewer hose supports in term of all-around application. Its versatile design permits you to work around difficult terrains and unexpected obstacles while ensuring consistent support to the hose. 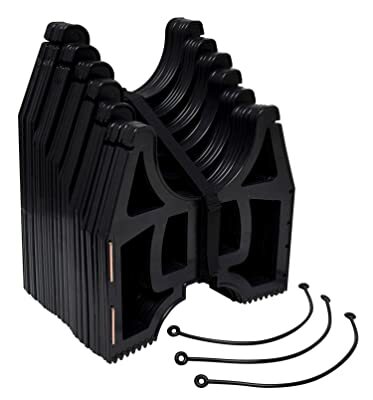 The supports could withstand heat very well so you could use the Camco model without any worry. When not in use, the supports require little storage space and their holder also serve as a convenient handle. There are many length options you could choose from, the longest one is around 30 feet. Featuring a combination of polypropylene and metal hinges, Valterra S2500 offer the RV sewer hose a stable and deep housing. The bottom of each unit is completely serrated so the entire hose support system possesses excellent gripping power. Similar to other designs, the Valterra model let you curve the sewer hose around as you see fit while maintaining a proper elevation. When you purchase Valterra S2500, you would be provided with a couple of self-fastening straps to secure the supports. The product is available in a total of 4 length options and backed with limited 3-month manufacturer warranty. Designed to match harsh working environment and unforgiving weather, Camco 40351 is among the toughest sewer hose supports on the market. Its lightweight aluminum body could endure a lot of abuse and still able to deliver a trouble-free draining operation. In the usual case, the Camco supports would last for years before you could bend or break them. The supports are also not vulnerable to sun damage so they don’t get brittle. Camco 40351 is backed with a limited lifetime warranty which clearly shows the manufacturer confidence in their product quality. In term of maneuverability, you could arrange the supports quickly and effortlessly without fail. With an efficient accordion design, Level-Trek LT80080 is a versatile and compact product suitable for hook up campsites. The declining height of the support pieces ensures that your draining operation would not run into any opposition from gravity. Thanks to the use of quality plastic, the support is rather light but still able to withstand the average working environment. Utilizing a deep groove design, Level-Trek LT80080 is capable of securing and stabilizing the sewer hose at all times. Along with the support, you would also receive a tight Velcro crap to secure the pieces and a 3-year warranty. Work well on low vehicles. Consisting of a series of half-pipes and adjustable legs, Lippert Component’s 365053 is an innovative design that possesses excellent versatility and durability. Because you could easily adjust the support height at will, the system could adapt itself to almost all imaginable slopes. If needed, you could even eliminate one section of the half pipe and set up double fitting to form any angle you like. When the hose supports have to traverse through unstable or rough surfaces, you could invert the legs to enhance stability. In general, setting up the system only takes several minutes and you would receive a handy bag to store the assembly. Constructed with a convenient slope, Valterra D40-4020 let you drain the waste tanks of your vehicle in an efficient manner. As it’s an accordion style product, you could maneuver the support around stubborn obstacles and challenging terrains relatively easy. Once deployed, the serrated bottom of the pieces would make sure that the system stay put. Without human interaction, the support is unable to move away from the designated position. 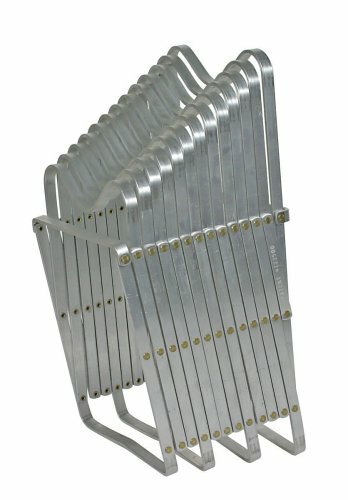 Given that each the support pieces possess a deep hose seat, it’s highly unlikely that the hose could fall over during a draining operation. If all you need is a simple no hassle hose support, Valterra A04-0009 would be able to match your taste. When fully collapsed, its length is only around 35 inches so you could store it anywhere you want. To deploy the support, you have to extend it, wrap the adjustable chain around the RV pipe opening then attach the hose. Adjust the support length so it cold covers all of the hose and that would be it. The most notable advantage of Valterra A04-0009 is its simplicity but that is pretty much everything. In term of flexibility and stability, this hose support fall far behind other products mentioned in this list. It’s nonetheless a good choice in case your camping destination doesn’t require sophisticated products. 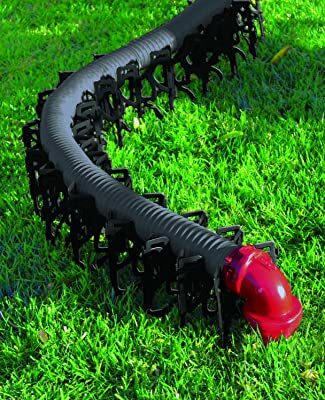 And those are some of the best RV sewer hose support on the market and their characteristics, see anything you like yet? While you could use rocks, branches and other materials to stabilize your sewer hose, they are not as good as purpose designed products. 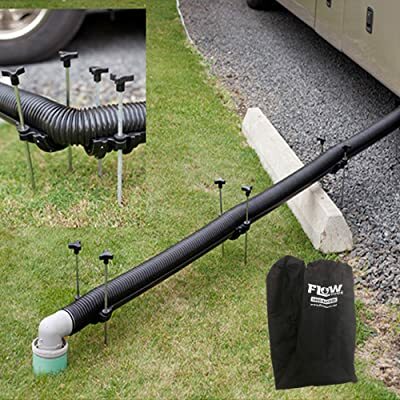 Nowadays, many RV parks require you to use hose supports if you want to stay at their place. That is why it’s a good idea to get a suitable set of hose support as soon as possible if you don’t have one already.